A new Samsung handset appeared online before its official announcement. 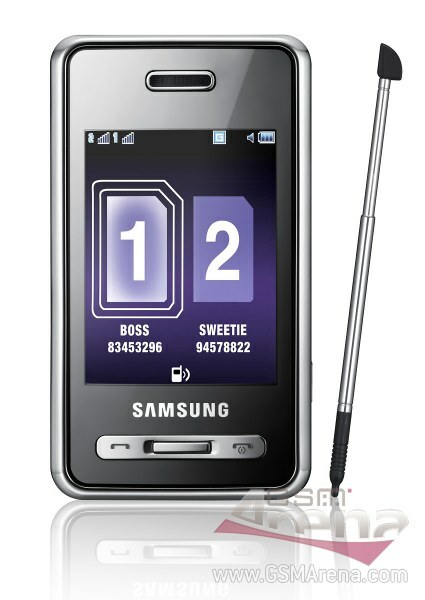 As it seems, we will be seeing a new Symbian OS-based smartphone with a 5 megapixel camera - the Samsung i7110. Samsung are obviously embracing the power and popularity of the Symbian S60 OS. Their latest four-digit model utilizes it to its full potential. Unfortunately, we don't have any spec details on the handset and we can only judge by the photos. The Samsung i7110 is obviously UMTS-enabled (a video call camera on the front) and it packs a 5 megapixel auto focus camera lens on the back. A flash is also present - but we can't really tell whether it's a xenon one or a regular LED one. The battery cover seems to be all-metal following the design of the Samsung Soul b. There's a microSD memory card slot on left side. A bit of a letdown is they will be using the proprietary Samsung connectivity port instead of the universal microUSB variety found on the Samsung i8510 INNOV8. We are really looking forward to getting some official info on the Samsung i7110 in the near future. And we also hope that GPS or at least Wi-Fi is on board. sve što imate saznanja i iskustva sa ovim modelom možete da pišete svaka. informacija je dobro došla. hvala u naprijed očekujem brzu pomoć. kao i cijena koja je trenutno ovog tela.? pošto nemoguda otvorim novu temu na ovom forumu a ne znam zašto. pitat ću ovde.